An Android app called 'Brightest Flashlight' has admitted that it sneakily sent location and device ID data of its users to advertisers. 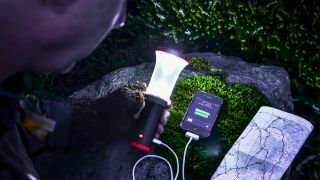 The Brightest Flashlight app has been downloaded between 50m and 100m times since February 2011. The app makers have agreed to pay a settlement to the US's Federal Trade Commission after the app "left [consumers] in the dark about how their information was going to be used," according to Jessica Rich, Director of the FTC's Bureau of Consumer Protection. The FTC says it's worse than just selling on your data - the makers of the app "deceptively failed to disclose" that it would be using users' locations for its own gain. Even if app users chose the option to not share their information, the app shared it automatically - basically rendering the presentation of a privacy option completely pointless. Every time Goldenshore fails to do any of the above, it will be fined up to $16,000 (around £10,000 or AU$17,660) a pop.